Rug overcasting could also be called end repair. It’s stitching that is put in place to stop or prevent unraveling, mainly at the ends or edges of a rug. In this process, material is sewn into the ends of the rug to keep it from unraveling. When the fringe starts wearing down, you need to have something done soon because this is a sign that the knots connected to that fringe could be permanently damaged. Our Overcasting Skills are a Stitch Above! Smart Choice is always looking for ways to give our customers the very best experience while providing the best rug care for Persian, Oriental, and machine made rugs. We love having the ability to restore a priceless family heirloom, yet our prices are affordable enough that it even makes sense to bring less valuable rugs to us for rug overcasting and other maintenance and preventative care! Before we get into this explanation, let’s get one thing out of the way: You can’t machine repair a hand-woven rug! If the rug was handmade, it needs to be repaired by hand as well. Overcasting is definitely the technique you want to use on a hand-woven rug. An overcast stitch, sometimes called a buttonhole stitch or a lock stitch, is used to sew the non-fringe edges of the rug to secure them. In this process, upholstery thread is hand woven in and around the warps and wefts to make a long-lasting bond. There are several things to know about overcasting in order to do it right. First of all, the stitch should be as close to the last weft along the edge as possible. 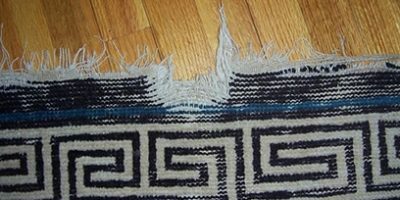 Overcasting is a type of rug repair that should be done if the fringe is broken and knots are coming off. It can also be a preventative measure to prevent the tearing and unraveling. Fringe repair, on the other hand, is the addition of fringe strand by strand or a strip of pre-made fringe over the top of the existing fringe to restore the rug’s appearance. 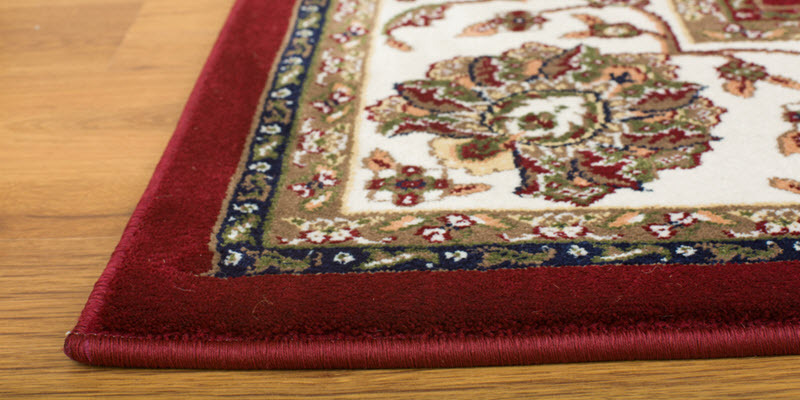 Fringe repair will prevent the rug from unraveling any more, and it costs less than other rug repair services. 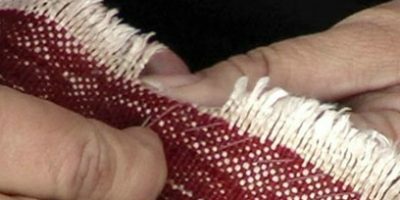 There four main types of fringe repair: reweaving, adding pre-made fringe, hiding the fringe (turning it under), or simply securing the ends. A rug repair specialist like Smart Choice can tell you which one is right for you.